A good choice for single servings and smaller items. Give your herb or edible food items a wholesome and crafty look with these amazing Kraft barrier bags. A popular option due to its organic look and feel, this bag provides both a quality flexible packaging feel and great barrier properties. Bio degradable paper exterior, natural foil interior for great barrier. Your customers don’t want stale, tasteless, or moldy food. Kraft Mylar Smell Proof Bags and pouches feature the same industry leading Moisture Control Technology as our other products. 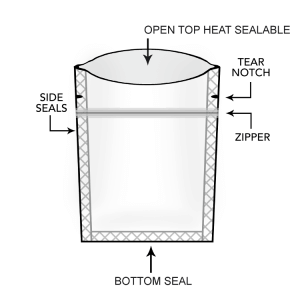 Each of our bags are constructed with a specific combination of FDA approved food grade materials that are engineered to control both oxygen and moisture within the bag. This bag will keep your edible product fresh and tasty longer. You will also experience much increased shelf life. Feel free to contact us for precise data on the oxygen and moisture transmission features of our products including OTR and MVTR data. Need Printed Kraft Mylar 1/8 oz marijuana packaging? This is a super cute mylar 3 side seal pouch and very popular size, so you’ve got to stand out from the competition! Save time and sell more cannabis with printed Kraft Mylar 1/8oz mylar marijuana packaging. 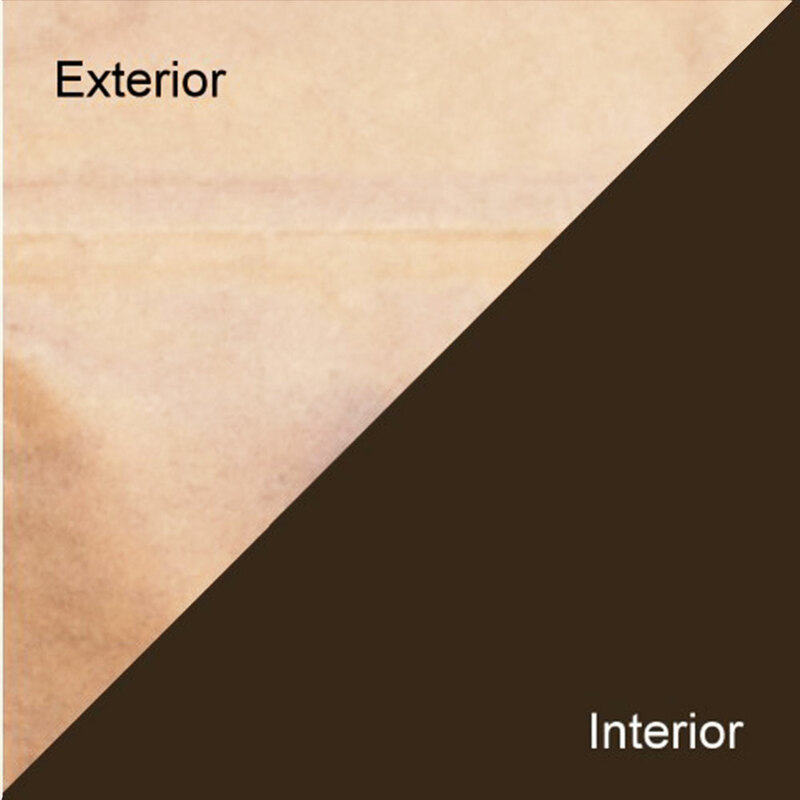 We offer both plate and digital printing on these bags. 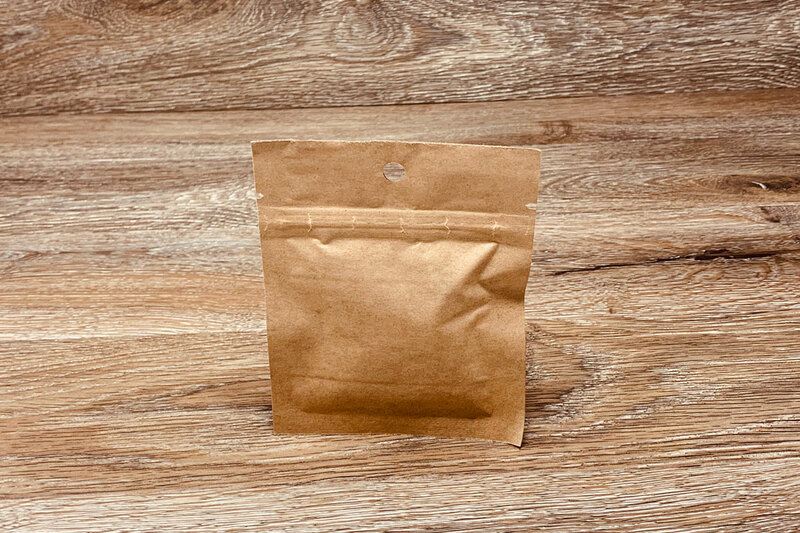 A printed Kraft Mylar 1/8 oz mylar pouch marijuana packaging is available both in a lay-flat 3.5×4.5 (3 seal) and a stand-up pouch 3x5x1.5 configuration, both of which maintain the freshness of your edibles or flower cannabis. Smell proof bags with digital printing where you can print with very low setup fees, and fast turnaround of just 4 weeks. The cost of Kraft Mylar 1/8 oz 3 side seal pouch marijuana packaging (3.5×4.5) resealable ziplock mylar bags is dependent on a few factors. So, to get an accurate quote just give us a call at 626-376-9836 or contact us. Do you offer this Kraft Mylar 1/8 oz marijuana packaging with a child resistant zipper? We offer a selection of stock child resistant bags, as well as customized child resistant Kraft Mylar 1/8 oz marijuana packaging. Do you offer samples of Kraft Mylar 1/8 oz marijuana packaging?